This course will cover theoretical and practical elements of Confined Space Rescue. It provides the skill and knowledge for those who may be required to undertake a rescue in a confined space, where hazardous atmospheres may be present. This Course is designed to give participants an understanding of legislative and administrative requirements, entry and rescue equipment and atmospheric monitoring requirements. 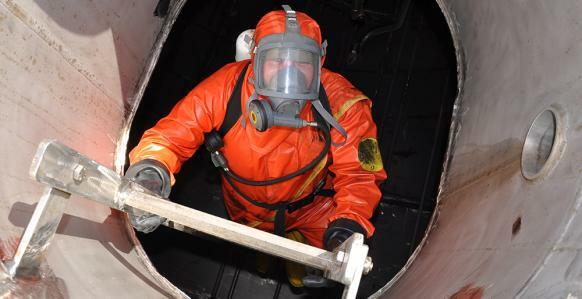 Participants that suffer from vertigo or claustrophobia may find it difficult to partake in Confined Space Rescue practical activities and fulfil the requirements of the course. Face to Face training will be conducted over a period of 2 days with prior Confined Space and Breathing Apparatus Experience or 3 days without Confined Space and Breathing Apparatus experience. Training includes both theory and practical components. Training can be conducted both on or offsite site provided a training room and confined (or simulated space) are available for use.